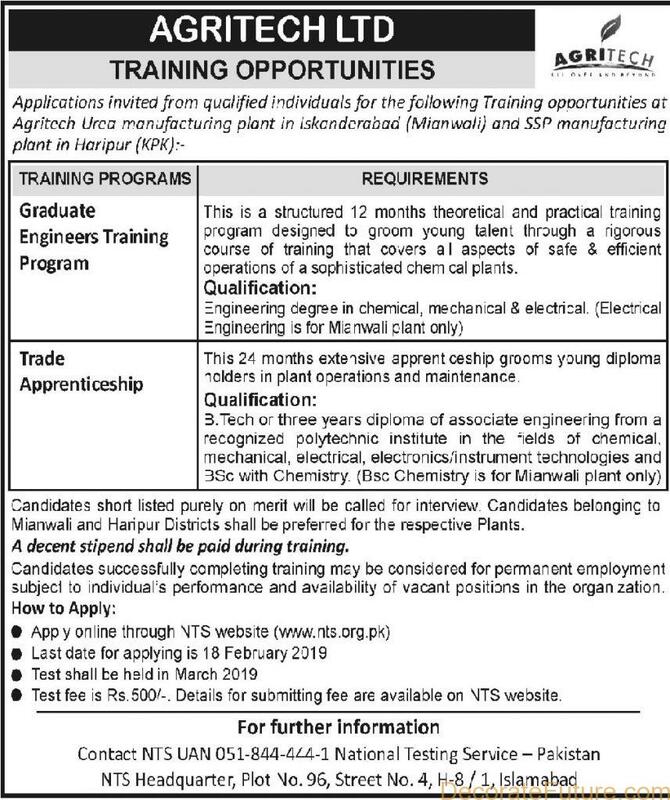 Online Applications are required from qualified individuals for the training opportunities at Agritech Urea Manufacturing plant in Iskanderabad Mianwali and SSP Manufacturing plant in Haripur. AgriTech Training Opportunities is a Pakistan Agricultural training programs. Agritech plant is located about 50 kilometers toward North of Mianwali city. Its location is strategically important from a marketing point of view. The main business of the company is the manufacturing and marketing of fertilizers. The company owns and operates the country’s newest and most efficient urea manufacturing plant at Mianwali. AgriTech Graduate Engineers Training Program is a 12 months theoretical and practical training program design to groom young talent through a rigorous course of training that covers all aspects of safe and efficient operations of sophisticated chemical plant. Engineering degree in chemical, Mechanical and Electrical with no experience and recent graduate. 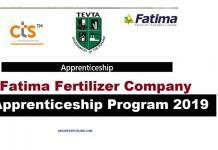 AgriTech Apprenticeship is 24 months Apprenticeship program to groom diploma holders in plant operations and maintenance. 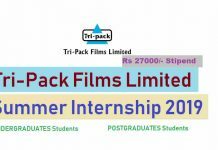 B.tech or three years diploma of associate Engineering from a recognized polytechnic institute in the field of chemical, Mechanical, Electrical, Electronics, and Bsc with chemistry with no experience and fresh graduate. 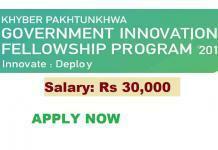 You can apply from the link given below.